How do I share or download analytics reports? You'll find a unique link which you can share with someone by clicking on 'Share' in the top-right corner. You can share this report with your clients and superiors. 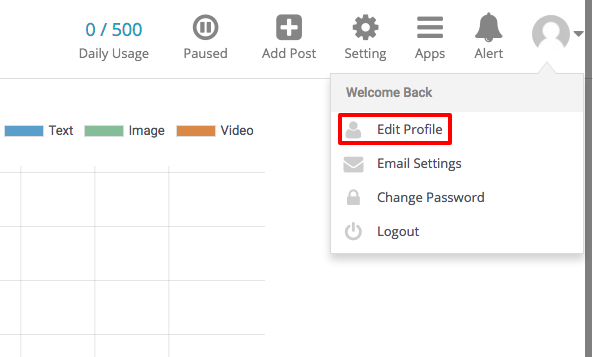 Log into your SocialPilot dashboard. Click on 'Analytics' from the side-panel. Select a social media platform to view its analytics. Let's suppose you choose Facebook. Click on 'Download PDF Report' on the top-right-hand-side. From the user drop-down, click on 'Edit Profile'. 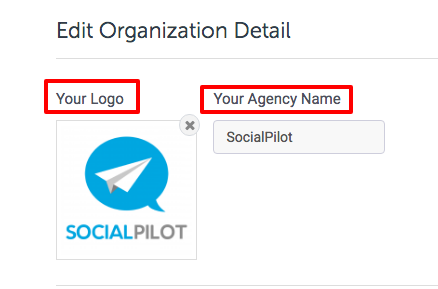 Add your Logo and Agency name in the Edit Organization Detail block. Your name and logo will be added to the PDF Reports from now on! Note:The ideal logo size is 240 (width) x 40 (height).